The year is 1913 according to the diary the Gang from West End is reading. It belongs to Kate Roosevelt, cousin to President Theodore Roosevelt. Mrs. Roosevelt writes in her diary faithfully. March, 1913 she went to see another of her cousins, Emlen Roosevelt and his wife Christine at their home at 804 Fifth Avenue in New York City. She is going to pay a call of condolence. They have just lost their daughter, Christine Kean Roosevelt Shelley. She died in Fort Oglethorpe, Georgia while her husband, Captain James Shelley was stationed there. Captain Shelley was a volunteer during the Spanish-American War and a Civil War veteran. Christine Shelley made her debut in 1908 along with Alice Roosevelt Longworth, Eleanor Roosevelt, Corinne Robinson (Theodore’s niece) and Kate Roosevelt’s daughter, Dorothy Roosevelt Geer. 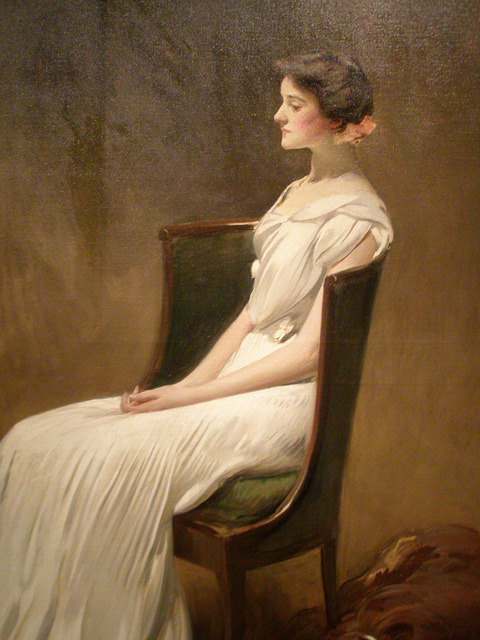 Dorothy Roosevelt Geer by John White Alexander. 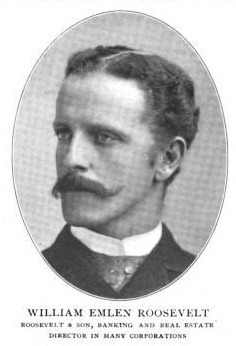 In addition to her parents, banker Emlen Roosevelt and Christine Kean Roosevelt, Christine Shelley was related to Senator John Kean of New Jersey and James Alfred Roosevelt. Hello, this is a great story, and very well written, but there are some facts that are not quite correct. Eleanor, Christine, Dorothy and Alice made their debuts in 1902. By 1908 all of these women were married and Eleanor was the mother of 2 already. Young Corinne Robinson was not part of this group as she was several years younger and was away in England in boarding school (the same one that Eleanor had attended). Also Christine’s husband was born in 1871, so there is no way that he was a Civil War veteran.